Winter is upon us - is your skin ready? Do your hands ever get so dry that they crack or hurt? Did you ever think that maybe your lotion isn't doing enough? "Unfortunately, traditional lotions have one basic goal - to simply make up for the moisture that our bodies are losing by adding an external source of moisture. Many common household products and even soaps are absorbed directly into your skin, causing skin disorders or just plain dry cracked skin. There are thousands of skin irritants in our modern environment that can strip the protective barrier off your skin causing dry skin, eczema and other skin problems. These changes in our environment have brought about the need for a new type of dry skin care solution – a shielding lotion. SkinMD Natural works with your skin to moisturize and heal. Over time, the body can become dependent on artificial moisturizers. This can leave your skin less able to handle breakouts and cracking. SkinMD lotion shields against irritants in the environment by creating a breathable barrier your skin." This lotion is made from all-natural ingredients and is hypoallergenic, so it works well for all types of skin! You can use it on your face or body, and it's made for everyone - adults and children! 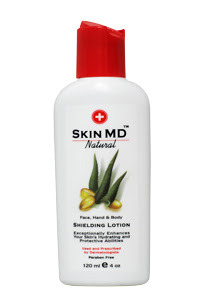 One lucky Frugal & Fabulous reader will win their bottle of SkinMD Natural lotion! *Comment with the words "SHIELD ME"
1. Tell me one thing you learned from the SkinMD website. You have until Monday, Dec. 14 @ 7pm EST to enter! (Winner must respond within 48 hours.) Giveaway open to U.S. residents only. I would love to try this, my hands are always dry and cracked. I entered your N-fini Shapewear giveaway. And I am a public follower via friend connect! Oh boy do I need this product - when I learned that it was hypoallergenic my eyes popped! I need a good lotion for dry skin and one that is nonallergenic! I learned that this is the answer! I think I need this lotion to SHIELD ME from the frigid weather we're having here today!! I learned that skinMD Natural Shielding lotion becomes part of the outer layer of skin when applied and helps to prevent irritants from penetrating while still allowing the skin to breathe. 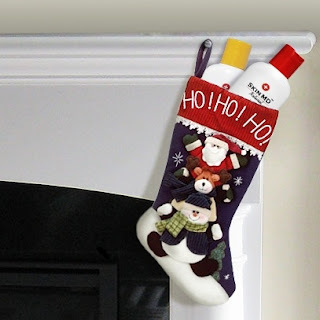 I'm a Facebook Fan of Frugal % Fabulous! I wear sunblock everyday to SHIELD ME from the sun! I am a FB fan. Brenna Chavez. I also entered your RugsUSA contest. Skin MD Natural moisturizes 6 times better than products that contain glycerin. Really have to try this stuff! I just entered the N-Fini giveaway! I learned that most soaps and cleansers contain things that strip away protective elements of the outer layer of skin. the perfect dry skin care product. entered Sleepyheads.com Choice of Pajama! My hands are always dry in the winter. I learned that skinMD Natural Shielding lotion becomes part of the outer layer of skin when applied. I learned that a shielding lotion keeps irritants away from the skin. I entered Rugs USA giveaway. Skin MD Natural moisturizes 6 times better than products that contain glycerin. Shield me from the cold 50 degree winter in Florida! I am loving subscribing by email. I have winter hands and would love to try this! I need a good lotion for my dry skin. Please Shield me!! My hands are so dry this year.